This is the Fans and Fantasies doily from Denise Augostine’s site, Crochet Paradise, again for my doily_of_the_month group. Click on the doilies link in the left-hand menu and scroll down for the Vintage Doilies. Hi I’m Sheila. I found your journal through Crochet Blogs. 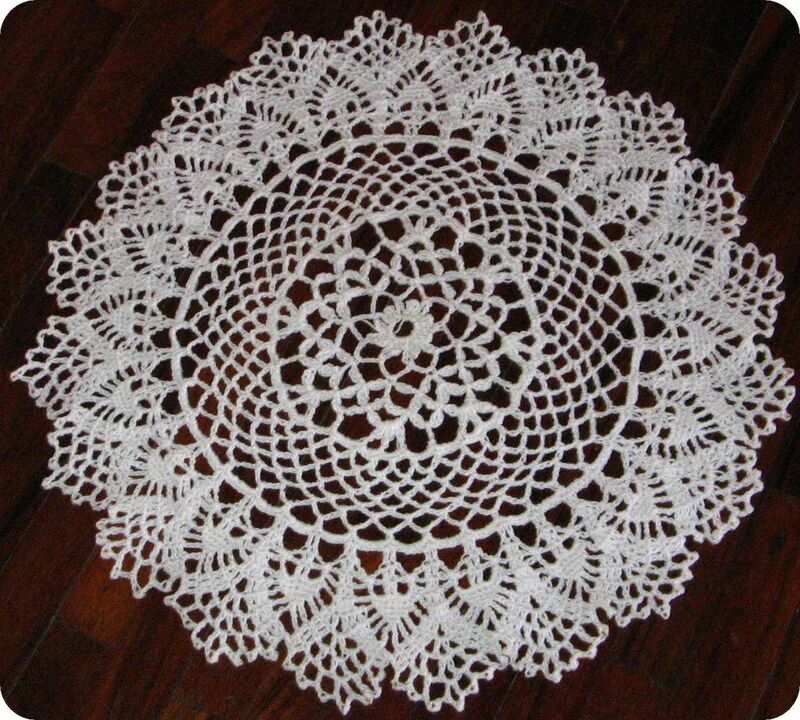 Very beautiful doily! I haven’t dabbled in doilies yet. Its hard for me to work with the thread and I’m still fairly new to crocheting. I look forward to reading more of your entries! The doily is beautiful. It is very intricate. Did it take a long time to make? Beautiful work. Have you any idea where Denise’s website is now? Crochetparadise.com is no more.